Split Simple features fixed pricing. Basic package includes one 2 hour mediation session, document preparation fees and final document review session is $995 with children and $945 without children. Standard package includes two 2 hour mediation sessions, document preparation fees and final document review session is $1495 with children and $1245 without children. Premium package includes three 2 hour mediation sessions, document preparation fees and final document review session is $1495 with children and $1245 without children. All prices are per spouse. Prior to practicing law, Mr. Griffith worked as a marriage and family therapist at an alcohol and drub rehabilitation center as well as a family practice center. Following his work as litigator in a boutique divorce law firm, Mr. Griffith focused his full time work in Colorado on divorce mediation. His solution focused therapeutic background and vast knowledge of important legal, family and financial issues of divorce play a crucial role for clients in resolving their divorce related issues. Mr. Griffith has been an industry leader incorporating technology into mediation practice and he has spoken at National Conferences on this issue. 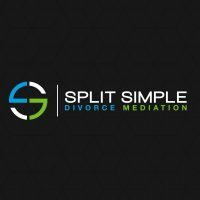 Split Simple’s upfront, no nonsense, flat fee approach to divorce mediation is unique to the industry and unmatched in Colorado. Mr. Griffith continues to work with clients throughout Colorado (both in the Denver metropolitan area and statewide) while he also trains new mediators working for Split Simple in new markets across the United States.